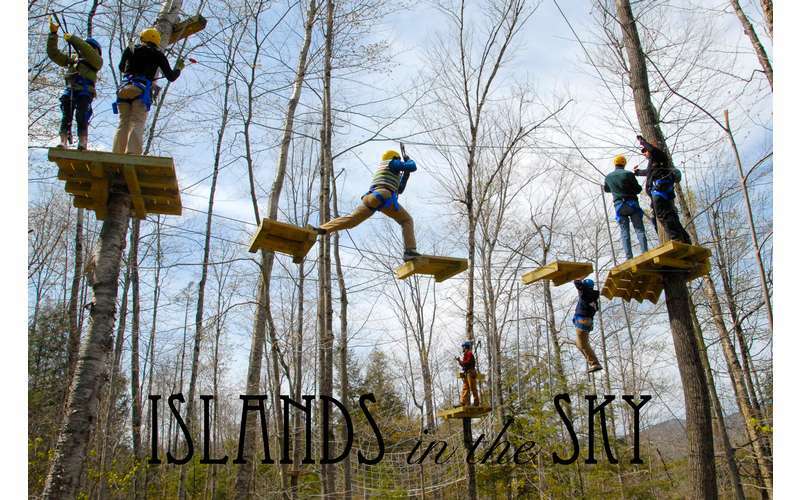 Experience adventure high in the air with the aerial zipline and ropes course, a guided ropes course with a series of aerial obstacles and a zipline. You'll start to feel the excitement as soon as you get your harness on and begin climbing up to the launching pad. 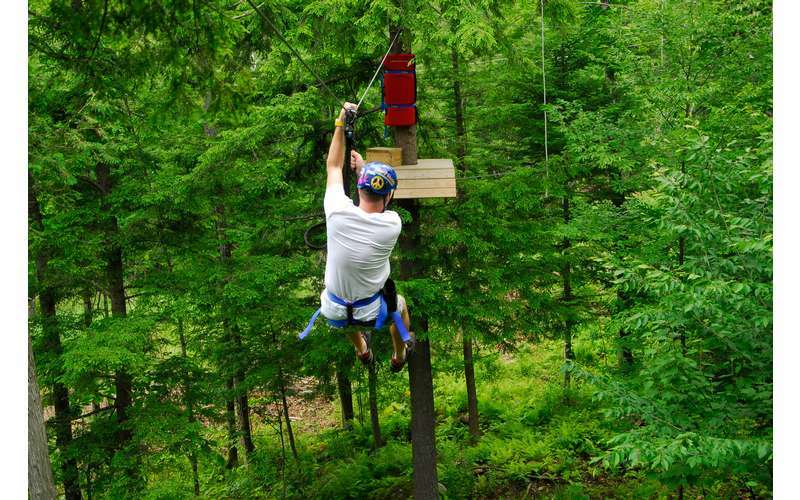 Before you know it, you'll be soaring through the air, zipping from tree to tree, and climbing, swinging, and jumping through obstacles. No experience is needed, kids ages nine and up can participate, and the staff will help you along the way. This adventure is a must-try for a family or group of friends! 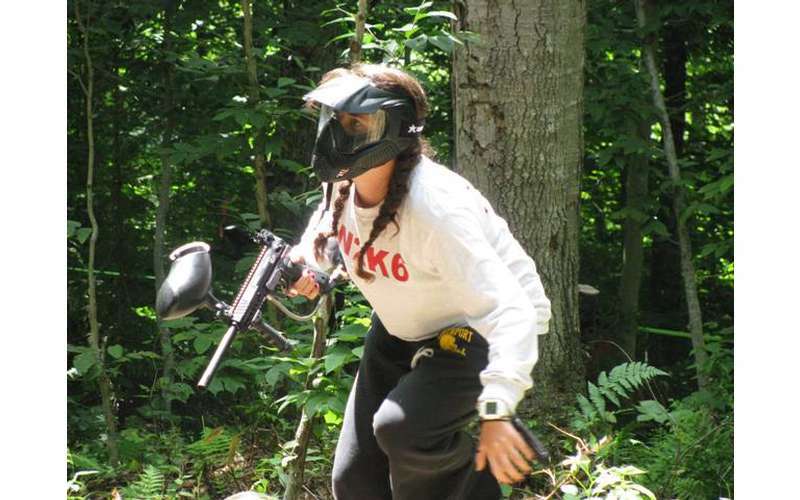 Adirondack Adventure Center has a wooded paintball field with natural rocks and trees that can be used for barriers and some strategically placed blinds to create an extra fun experience. Whether you're a veteran paintball player or you're brand new to the sport, you can dive right into the adventure. 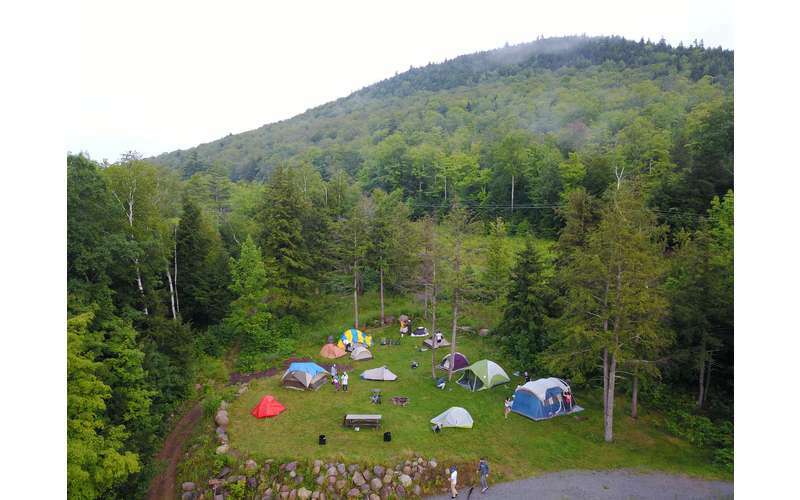 Outdoor fun has never been so exciting for a group of friends, family, or a youth group. Sessions last between two and a half hours and three hours out in the woods. All of the equipment is provided. 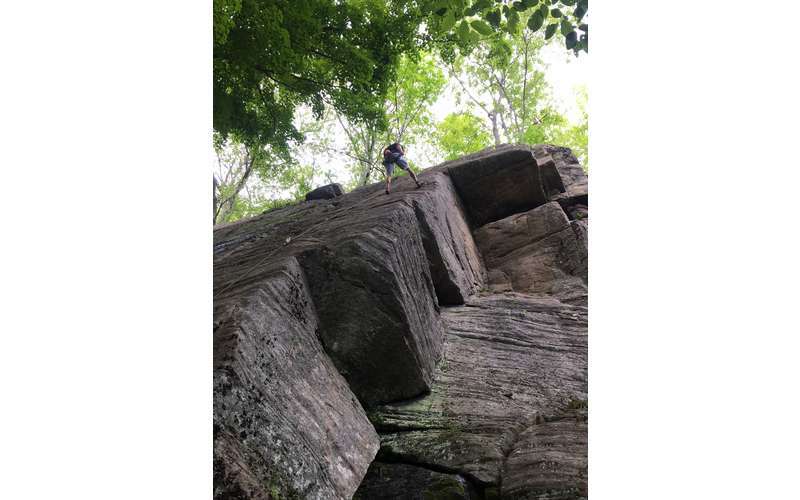 Experienced guides will lead you rock climbing for a day trip or a multi-day adventure in the Indian Lake region of the Adirondacks, where you can find some of the best climbing opportunities in the entire Northeast. No matter what your skill level is, you will have a fun, adventure-filled day. First-time climbers are given basic instructions on rope handling methods, movement techniques on the rocks, and gear that climbers use. Intermediate climbers with the right skills can be taken out to one of many breathtaking locations. You can do a single route or a day-long adventure. More advanced climbers will have the opportunity to climb even more routes with experienced guides who know how to show you around. Climbing packages include all the gear you'll need, so all you have to do is show up. Discounts are available if you happen to bring your own gear. More adventures await with rafting, canoeing, paddling, camping, and hiking - including to the Adirondacks' highest waterfall! Considering putting together a multi-day package where you embark on a different adventure each day! Visit their website and get your adventure started today!